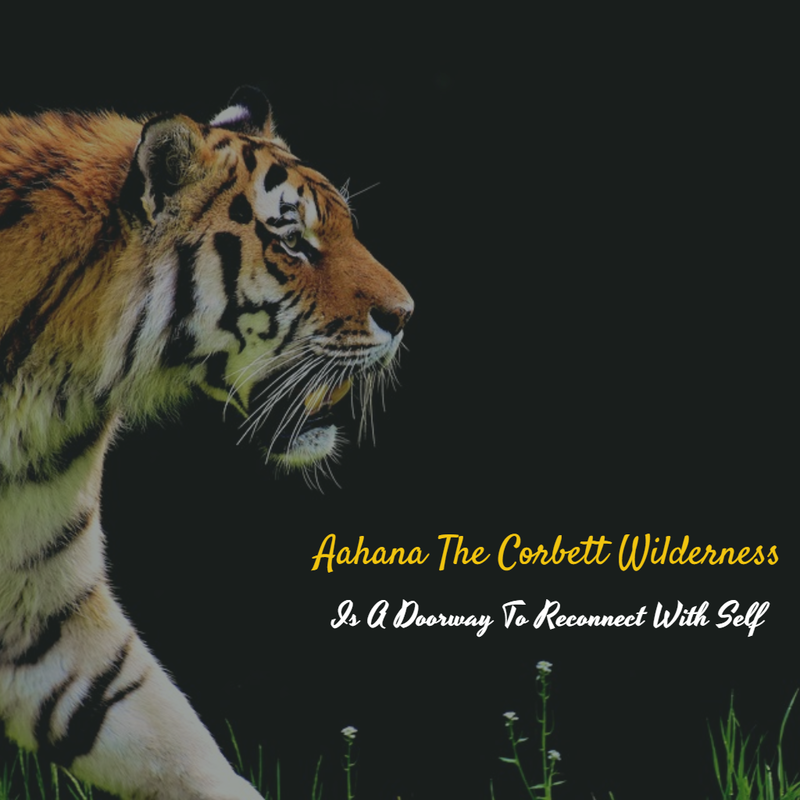 In this blog post, I cover Aahana - The Corbett Wilderness, an eco-friendly luxury resort spread over 14 acres in Corbett. A visit to Aahana - The Corbett Wilderness was long overdue! For the uninitiated, the resort has continued to receive the Tripadvisor Traveller's Choice Award consecutively for the last 5 years. If that doesn't get your attention, let me just share that this year too it ranks as the 8th Best Resort in India. To its credit, the resort is also one of the proud recipients of the TOFTigers Wildlife Tourism Awards. Aahana is Sanskrit for 'the first rays of the rising sun'. True to its name, the 5 Star Luxury Resort draws a lot of international visitors every year, owing to its proximity to Delhi. From Indira Gandhi International Airport to Aahana Resort, it takes approximately 4 to 5 hours by road non-stop. The total distance to cover is only 240 km. 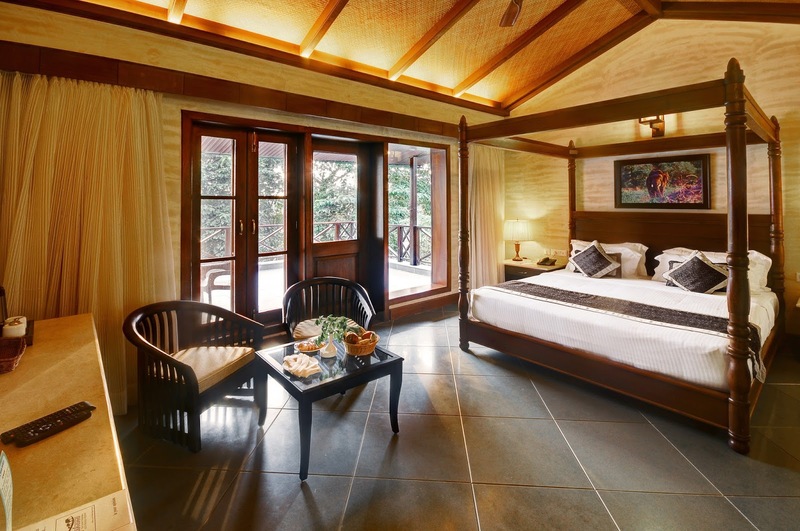 Nestled in the Sawaldeh village of Ramnagar, Aahana - The Corbett Wilderness is an eco-friendly luxury resort in Corbett that comes under the jurisdiction of the North Indian state of Uttarakhand, district Nainital. The Ramnagar Railway Station is approximately 6 km away from the resort. 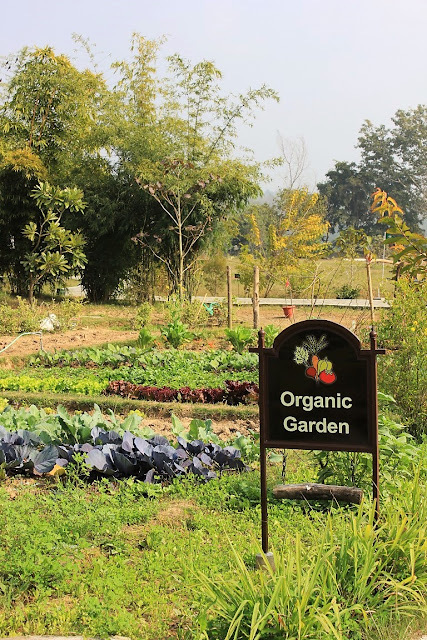 Rated as the best resort in Jim Corbett National Park, Aahana is an elegant, full-service luxury resort which features a unique collection of individually decorated rooms located in different clusters, not to forget a one-of-its-kind Aahana Naturopathy Center*. The long stretched walls of the Jim Corbett National Park - that leads to the Bijrani Zone - is where the Aahana Resort is conveniently located. Aahana touches the northeastern boundary of the Jim Corbett National Park. What are the odds of spotting a tiger you may ask? Pretty high if the natives are to be believed! The Khara Gate of the Jhirna Range of Corbett Tiger Reserve - which stays open throughout the year - is in close proximity to the resort. On the drive from Aahana to Jhirna, I saw the grasslands of Laldhang which have been cleared of all village dwellings by the reserve; these are now fast becoming a haven of refuge for wild animals like sloth bears, elephants, and jackals. The entire property is landscaped with forest species and grasses to provide extended space for wildlife. Observe wildlife from your living rooms and other areas of the resort. The restaurant and swimming pool decks offer excellent sightings of wild elephants, jackals, and deers, besides the occasional wild boar. Aahana - The Corbett Wilderness is spread across 14 acres in area and includes a 1 km walking track. The back wall of the property caresses the salubrious teak and sal forest of the Bijrani Zone. The resort has a Naturopathy center, swimming pool, gym, lotus pond, organic garden, badminton and basketball courts, table tennis and carrom rooms, plus various other attractions. Every room inside the resort adorns an eco-friendly design. Even if the ACs are switched off, you can still enjoy the fresh and natural jungle breeze through the open and wire-mesh windows and high ceiling. All gardens inside the property have mosquito repellent grass. For the safety of the guests, especially children, use of pesticides is not allowed inside the resort. The resort follows a zero waste policy and therefore solid waste of any kind is continuously recycled. Use of CFL and LED lights is encouraged to save power. A unique Sewage Treatment Plant at Aahana provides and restores water used for sprinkling in large gardens. This is the biggest natural Sewage Treatment Plant in Asia (no chemicals are used during the filtration process). The dirty water - flowing from the bathrooms and kitchen drains - is treated through the Cannae Root Zone System, resulting in recycled clean water which is further stored in huge tanks and later used for sprinkling in the gardens. The filtered water is transparent in color, has no odor, and is stored in the huge Storage Tank having a capacity of 150,000 liters. The treated water travels through two Hydromatic Pumps to the Sprinklers located at different points throughout the garden area. Nainital – 70 Kms. A beautiful hill station with popular tourist attractions like the Naini lake. Ranikhet – 125 Kms. Both Almora and Ranikhet boast of picturesque and breathtaking views of the snow-clad Himalayas. At Aahana, you can opt for a nature walk with an experienced guide. Out of the 580 species of birds that are known to visit Corbett every year, more than 130 visit the resort regularly. Not only that, the resort has numerous varieties of exotic, colored butterflies fluttering around all over the place. If you're at Aahana, make sure you go for bird watching - especially during the monsoons when the three zones are closed for tourists*. It is both thrilling as well as educational to learn about so many different species of migratory birds. On the last day of my two-night stay at the Aahana, I went for a Jungle Safari with a group of other travelers and a tour guide. Playing on my mind was a visit to the ancient temple of Sitabani, a popular tourist attraction at the Corbett National Park, known to hold mythological importance for the Hindus. During the monsoons, all Corbett zones are closed but Sitabani buffer zone remains open throughout the year. Hindus believe that Sitabani is the same place where Sita stayed during her exile and raised her two sons - Luv and Kush. I was astonished to see a white stone marble statue of Sita here - without Rama - holding her sons. Tumariya Dam is nearly 40 km from Aahana and takes about 45 minutes to reach by car. Several migratory birds are known to flock to this place such as the greater cormorant, lesser cormorant, mallard, common teals, ruddy shelduck, common shelduck, northern pintail, northern shoveler, etc. To the outside world, the Aahana Resort is synonymous with luxury and comfort. For me though, the resort is a doorway to reconnect with self - where wellness and rejuvenation take over everything else in life.